In the United States, cocaine had its heyday in the 1980s as a drug for high powered, fast living types. Its reputation was that of a classy, “clean” drug which was supposedly less harmful than other illegal substances. However, it has been slowly falling out of favor among the states as other drugs like heroin and methamphetamine rise in popularity. Across the pond in the United Kingdom, the story runs a little differently. Cocaine use in the U.K. has been high for decades, with the country consistently approaching the top of the list of cocaine consumption for countries in Europe. However, since about 2000, cocaine use in the country has increased at a troubling rate. Further, it’s spreading beyond its traditional place with more wealthy clients and is now infiltrating the middle and lower classes as well. One interesting thing found by this study is the specific information on the uptick of cocaine use among nontraditional users. Specifically, they tracked a steady increase over twenty years’ time for cocaine use in those people “comfortably off” and of “moderate means,” meaning young couples or older couples in the suburbs, blue collar workers and the like. Among 45- to 54-year-olds, they are increasingly combining cocaine with alcohol. This comes with its own health problems. The biggest thing making this possible is that people who don’t have the money for high-end cocaine are now able to easily purchase a cheaper, less expensive version. Dealers have made this possible by cutting their normal product with all kinds of adulterants– everything has been added, from de-wormer to talcum powder to a local anesthetic which mimics the numbing sensation of cocaine inside the nose. These substances come with their own problems. For instance, the de-wormer dangerously reduces the body’s white blood cell count, and has been declared unfit for human consumption because of that fact. Most samples of cocaine seized from the street fall into this cheaper, adulterated category, with an average purity of 10% or less. The Advisory Council on Misuse of Drugs is behind a lot of this recent research. The Chair of this Council, Professor Lev Iversen, feels that this is due at least in part to the fact that celebrities have glamorized the drug. If “normal” people look at celebrities who have all the appearances of wealth and success, it can make cocaine seem harmless at best, and downright glamorous at worst. Professor Iversen also worries that there is a false sense of safety experienced by most users who are not regularly using cocaine. Many of the people participating in this survey (about 60%) reported that they had only used cocaine once or twice. This is concerning to doctors, who know that cocaine comes with health risks even if it’s not used regularly. 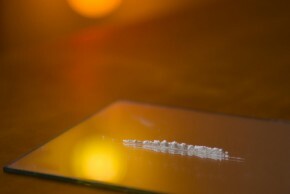 Cocaine’s ill effects aren’t based on the number of doses consumed. In fact, among 18 to 30 year olds, only 2% to 5% of which say they have tried cocaine in the last year, 23% of the cases of chest pain treated in two London hospitals were caused by the effects of cocaine. Cocaine was also found to be linked to a whopping three hundred organized crime groups within the city. Sixty of these groups were found to be actively importing it. It’s obviously a hustling business in England.